Since 1983, nationally acclaimed and board certified dermatologist Dr. Mary Lupo has been at the forefront of non-surgical skin rejuvenation. She began using innovative combination protocols for her patients that included collagen fillers, light chemical peels, and topical products such as Retin A and alpha hydroxy acids with sun protection to make the skin look years younger. This trend is now the cornerstone of non-surgical care along with the additions of Botox® to relax hyperactive muscles. The years of teaching other physicians, serving on advisory boards and performing clinical trials on the latest techniques have resulted Dr. Lupo being on the cutting edge of non-surgical skin rejuvenation. Dr. Lupos is also a Clinical Professor of Dermatology at Tulane Medical School. She graduated from Tulane Medical School in 1980 and did internal medicine at Ochsner Foundation before entering the dermatology program at Tulane Medical School where she served as Chief Resident in her final year and was awarded the Peterkin Award for her original research in skin lipids and inflammation in patients with atopic dermatitis. She is the past-president of the Women’s Dermatologic Society, Louisiana vice-chair for the Dermatology Foundation and member of the Annenberg Circle. She is on numerous committees for Women’s Dermatologic Society, American Society for Dermatologic Surgery, and American Academy of Dermatology. As director of Tulane’s Resident Cosmetic Clinic, she has taught fillers, Botox®, sclerotherapy, chemical peels and laser therapies since 1984. 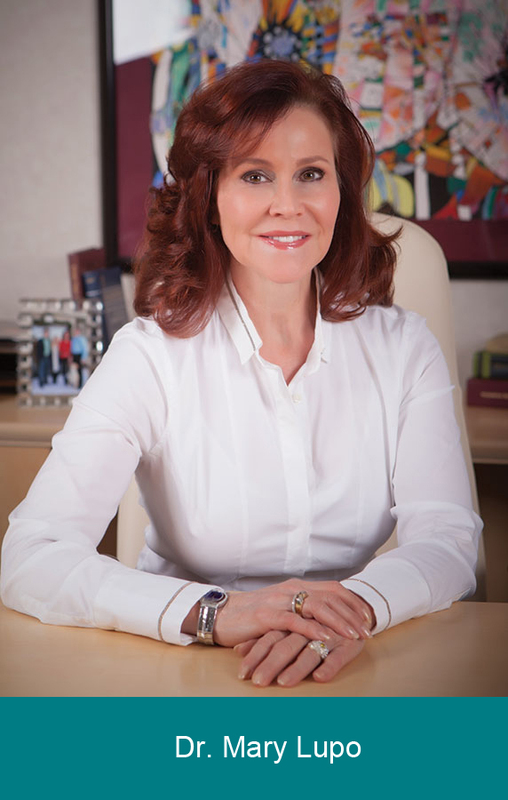 She has been a founding director of The Cosmetic Boot Camp, an innovative Continual medical Education (CME) program that teaches core aesthetic physicians the latest techniques for aging skin correction. Dr. Lupo is now a clinical instructor for Allergan®, where she helped launch Juvederm® to Australian physicians in 2007. She has acted as a consultant over the years for Inamed®, Bristol Meyers Squibb®, Playtex®, Kao Brands (Jergens®, Curel®, Ban®, and Biore®), Allergan (both skin care and Botox® Cosmetic divisions) Dermik, Galderma, Stiefel, Neocutis, Ortho-Neutrogena, LaRoche Posay, and Philosophy. In 1995, she founded Dr Mary Lupo Skin Care System, innovative skin care products for her patients and web clients. She is often quoted in national beauty magazines on various dermatological topics from acne to aging skin, from skin cancers to fillers and cosmeceuticals. She has appeared on E! Entertainmen, the Food Network, CNN news, and The View as well as local CBS, NBC, and ABC affiliates in New Orleans.